The Brockway Mountain Hawk Watch is conducted each spring from March 15 to June 15. Would you love to come up and visit the count site to enjoy the spectacular spring migration? Good! We can help you plan your visit. Copper Harbor is the destination town at the base of Brockway Mountain. It is a charming, welcoming town in a gorgeous setting. Oh it’s small, but it packs a big punch for fun and outdoor adventure! Please visit the town website for tons of information and contacts if you have questions. It’s your resource for planning your visit. The Brockway Mountain Drive is a seasonal road and it becomes part of the snowmobile trail system in the winter. Depending on the year, it becomes drive-able at different times. So, we post the road conditions on this website and as soon as vehicles can drive up you will know. The info is also posted on our Facebook page. Now some folks hike up and when there is snow, snowshoe or ski up, but just understand that it is a very hilly, 3.5 mile trek and you may be sharing the space with snowmobilers. The count site is at the top of Brockway Mountain. There is no power, phones or water service. There are very well maintained pit toilets available to visitors, otherwise there are no buildings up there. Bring a chair and pack a lunch if you plan to stay awhile. June can be buggy, so bug repellent is good to have too. As with other high places, it is usually windy at the top of Brockway Mountain. It is typically a few degrees cooler than in Copper Harbor too. Layering clothes is always a good idea and a warm jacket is suggested. The weather can change very quickly so be prepared for anything. Our counter, Tim, is happy to answer questions about the birds and assist in IDs. When he is not busy counting, he visits with guests and offers a wealth of birding information. By the way, he likes cookies. The shack area is the counter’s domain. The spotting scope is not there for public use. Please do not handle tools or remove objects from the area. There are brochures and informative handouts available as well as a book for visitors to sign. We suggest a visit to the Welcome Center at the corner of Gratiot (US-41) and 2nd Streets. Even if the center is not open, there are numerous brochures in the entryway. There are several amazing spots for bird watching in and around Copper Harbor. With a wide variety of terrain and habitats, numerous species may be found within a couple miles. 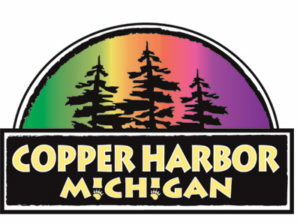 For more info on area birding, please visit the Copper Harbor Birding website.